Does my child have tight lower back and leg muscles? 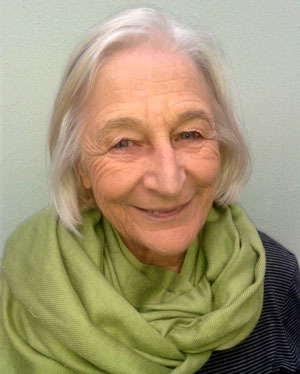 Children with movement difficulties ("low muscle tone", generalized joint hypermobility, DCD, autism, Down syndrome, and those with a diagnosis of SPD) often have some tight muscles, even when they have loose joints (hypermobility). The muscle tightness restricts movement and interferes with maintaining good posture and performing everyday tasks. The tightness may also causes abnormal stresses in the joints and can lead to pain and discomfort. Poor flexibility and weakness may also lead to poor performance on tests for retained primitive reflexes and lead to a false diagnosis. A child with good hamstring and lower back flexibility can touch the ankles or even the toes when sitting with the legs straight. Children with tightness in the hamstrings and lower back muscles can often only reach just below the knees. The iliotibial band is a thick sinew that runs from the pelvis over the outside of the hip, thigh and knee. It is connected to a broad flat sinew in the lower back (called the lumbar dorsal fascia) and provides an important link between the trunk and the leg. A child with tightness in the iliotibal band tends to stand with the legs apart and the feet turned outwards, and also tends to sit with the legs wide apart. Ask your child to stand with the feet a hand breadth apart and parallel to each other for twenty seconds. Is this position comfortable, or is it “boring”. Now let your child stand with the feet about 20 cm apart for another 20 seconds. Does this feel better? Less boring? Even quite young children are quite clear about which position they prefer. Instruct your child to stand up and sit down 10 times slowly and with good control. If your child has tightness and weakness in the leg muscles the legs will tend to move apart and the feet turn out as he/she sits down, especially after a few repetitions when the muscles start to tire. 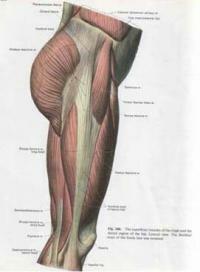 Muscle tightness leads an imbalance in the acting on the joint and in the long term this can lead to pain and weakness. Imbalance in the muscle forces acting on a joint is particularly harmful in joints that are hypermobile and need good muscle function to protect them from injury. Tightness in the lower back and hip muscles, along with leg muscle weakness, is often the cause of leg pain after exercise (lots of running and walking). A program of exercises to stretch tight muscles and strengthen weak muscles will often improve leg pain. Tightness in the lower back and hip muscles makes sitting erect for working at a table tiring and uncomfortable. 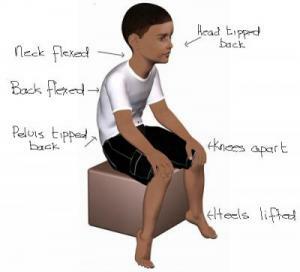 Children will adapt their sitting posture to accommodate the muscle tightness. The sit with the trunk flexed, the neck extended and the legs wide apart. Children who walk on their toes usually have rightness in the hip muscles (especially fascia lata) which makes it uncomfortable to walk with the feet flat and close together. Children with habitually walk on the toes will usually stand with their feet wide apart and also turned out. What can be done to stretch tight muscles? A regular program of active stretching will usually improve flexibility in the iliotibial tract and the hamstring muscle. The stretching exercises need to be specially adapted to the needs of hypermobile children as it is important not apply stretching forces to hypermobile joints. Just 15 minutes a day 4-5 days a week.